We braved trick-or-treating twice this week. Once at our local mall a few days before, the other on the night of. We decided to hit the mall due to Hurricane Sandy on the prowl and wanted to give the kids chance to go out in their costumes in case the weather really took a turn for the worst. Let's just say that everyone else in a 50 mile radius had the same idea. It was packed tighter than Russell Brand in leather pants - and I don't think that mall has ever seen that much foot traffic in one go. We did experience a very water logged Halloween night, but I certainly can't complain and my kids made out very well considering. I couldn't help but feel for those poor kids on the coast that look forward to this day every year and had to miss is because Sandy decided to unleash her fury right up the eastern seaboard. Because this Mama has no will power, candy must leave the premises 24 hours after it has entered. Although we do allow the kids to enjoy them, not even the sweetest of sweet teeth can handle 165,000 chocolate bars and not feel the effects soon after. So what do I do? I throw about two dozen candy bars into even more sugar and call it a day. Yeah. 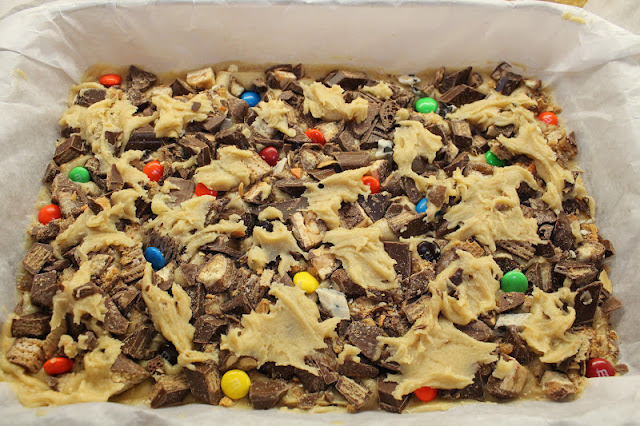 I don't understand my logic either, but these blondies I do. 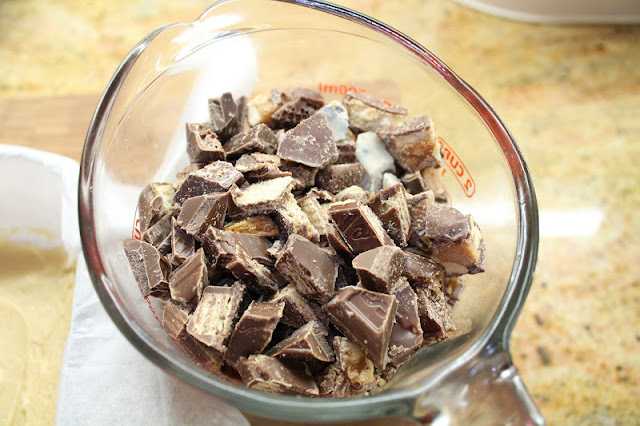 2 cups any candy bars, corasely chopped - I used about 28-30 fun-sized candy bars. Preheat oven to 350ºF. Line an 9x13 baking pan with parchment paper. 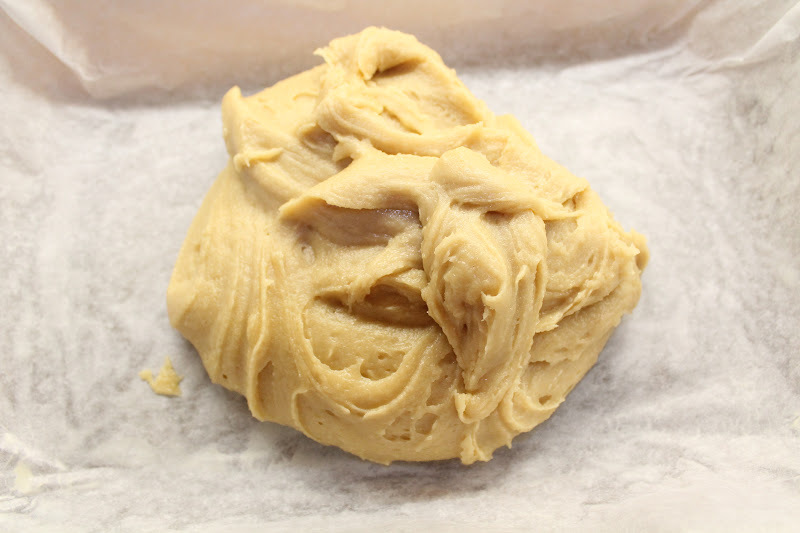 In a large bowl, whisk butter and sugars together until smooth. Add in eggs and vanilla. 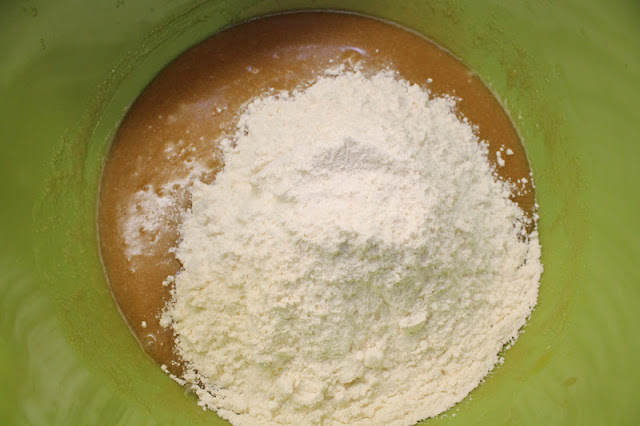 Add flour, baking powder, and salt; stir until combined. Reserve about a ⅓ cup of batter and transfer the rest to prepared pan and smooth over with an offset spatula. Arrange chopped candy bars over batter in pan. 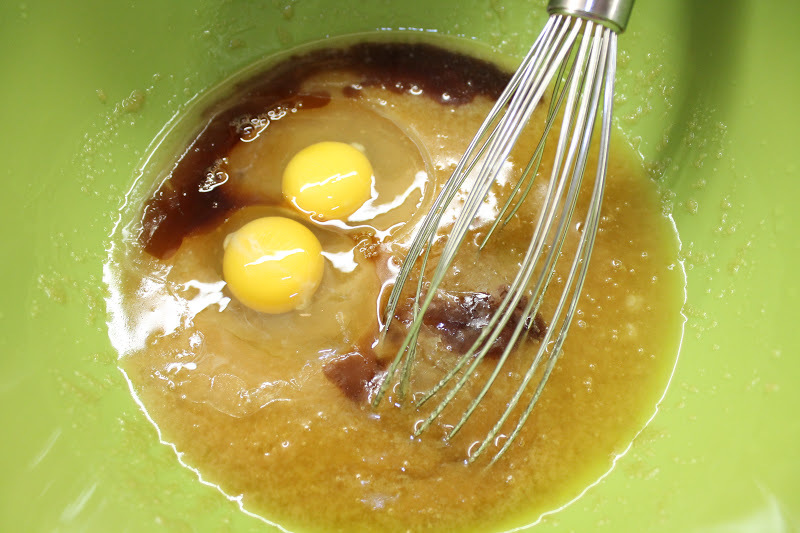 Take the remaining ⅓ cup and place randomly over batter. 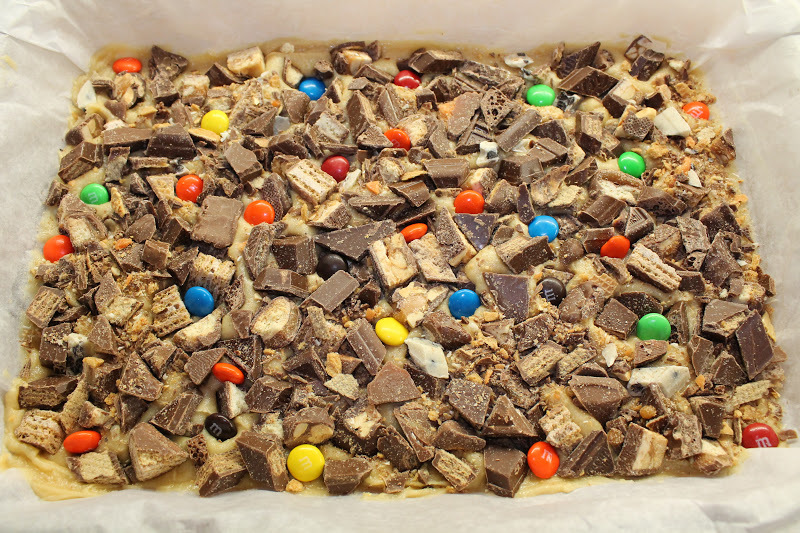 Just know that batter will be sticky and wet. Bake until top of cake is golden brown and a toothpick inserted in center comes out clean, about 30-35 minutes. Set pan on a wire rack and let cool completely. 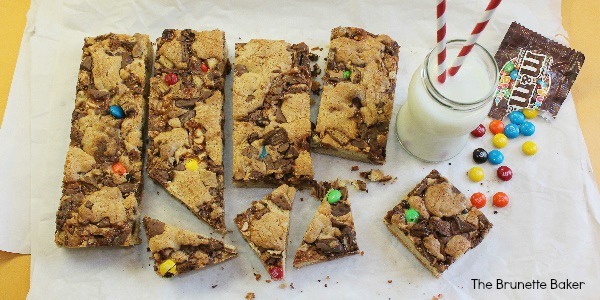 Remove blondies from pan and cut into squares or rectangles. Keep in an airtight container at room temperature, up to 2 days - if they last that long.